Our homes are our greatest form of self expression; an extension of who we are and the kind of life we want to lead. A place for our most intimate moments. Where we retreat to replenish and recharge. Home is where we cherish those in our space, disconnect to reconnect and reinvigorate. Workplaces of all types; (corporate, retail, hospitality ) are an expression of what we sell. Our environment creates our world; a living lifestyle. Mel is the ideas and creative driver of the company. She began her career as a professional photographer. After 13 years of studio & freelance work, she stepped away from one creative industry to join another - weaving both creative loves together is a powerful combination for Interior Design. After surviving 10 years of renovating with her husband Mel is not one to shy away from a challenge or learn new skills. She paints, plasters, tiles, grouts and loves to see her vision come to life - from hand sketched scribbles (on anything she can get her hands on) to placing the last finishing flourish in a room - she lives and breathes renovation. A qualified Interior Designer & serial renovator; Mel brings a wealth of experience, creative flair and some cheekiness to every project. Curious by nature Mel will delve with you to explore exactly your desired outcome and her creativity will bring your vision to life. Melanie still sketches by hand, paints & photographs for pleasure and relaxation. 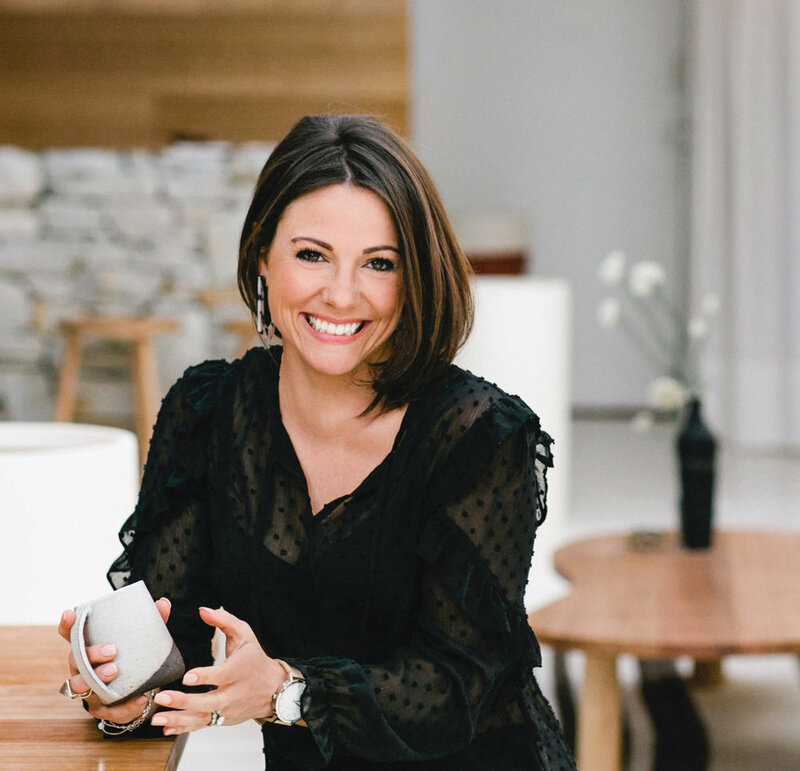 She is a mother of two spirited children (and happily confesses running a business alongside motherhood is more of a synchronised ball drop than a juggle) A bit of a hippie, passionate about wellness in mind, body and spirit. Mel underwent successful brain surgery to treat a benign tumour three years ago and lives with a new found appreciation for life; she is her happiest with her family and friends. Mel loves to be near the ocean, or skiing down mountains, eating good food and keeping good company. By day Ray manages billion dollar projects and corporations; by night (and weekend) he renovates homes. An engineer and craftsman; Ray has had 20 years of renovation experience (and an impeccable management of budgets & timelines!) bringing a very practical approach to projects. He is his happiest when on the tools solving a problem with his mind and hands. Along with a masters degree for project management, Ray makes the impossible possible and you'll never wonder what he's thinking, he'll tell you. He provides moral support to Mel (keeps her creative imagination in check) and steps in as requested on projects to provide structural and practical support. Laura is an interior designer who specialises in colour. She graduated in 2010 with Bachelor of Interior Design degree and narrowed down her passion to work with colour. When Laura was a little girl she used to collect colour chips from the local paint shop and rearrange her bedroom every school holidays. She absolutely loves helping people create a space they connect with and can enjoy with their family & friends. She loves taking the confusion out of the world of colour, making decisions much easier when building or renovating! Working directly with clients and listening to what they love and want in their space and designing something with soul and that feels like home. Laura loves all areas of design and building especially sustainable design and has a passion for art, painting and spreading kindness. We are also supported by an awesome team of trades & consultants.